If Buzzfeed sounds familiar to you, then you would definitely know the names, Ned, Keith, Zach and Eugene. Also known as The Try Guys! It was only 7 months ago that all of them have decided to take the entrepreneurial risk of leaving Buzzfeed, and branding ‘The Try Guys’ as an independent production company. Since then, they have gone off to host 2018’s Streamy, and have curated 5.2 million in the span of less than a year. Now onto their next try…WRITING A BOOK! 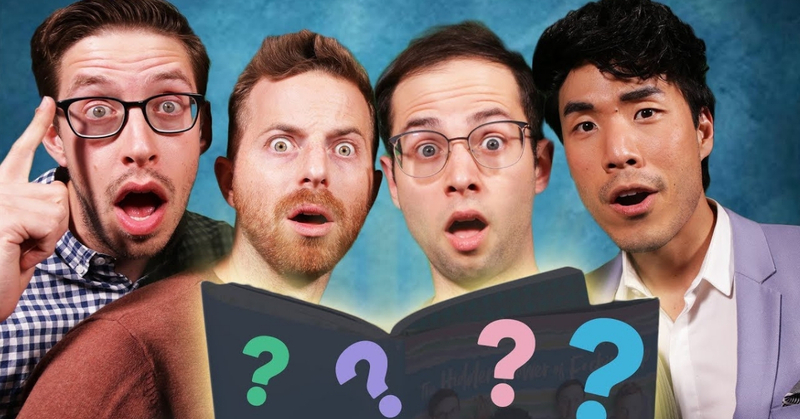 On the 30th of January, The Try Guys took to Twitter and YouTube to announced their secret project they’ve kept hidden from us all. Titled “The Hidden Power of F*cking Up”, the ‘half-autobiography-half-self-help’ set to release on June 18th, 2019. The Try Guys take inspiration from experiences throughout their lives on and off-camera, and have developed a philosophy (“fail-osophy”, as Eugene liked to call it) to life that could hopefully help anyone who needs it. The book is set to have 5 main chapters; Health, Style, Work, Love and Family. Each chapter individually assigned to a Try Guy based on what the Try Guy would like to improve on, in their lives. Trying within a ‘try’, GENIUS! Whose chapter are you excited for? Let us know!